Cory & Shawn. . Wallpaper and background images in the Boy Meets World club tagged: boy meets world screencaps season 1. 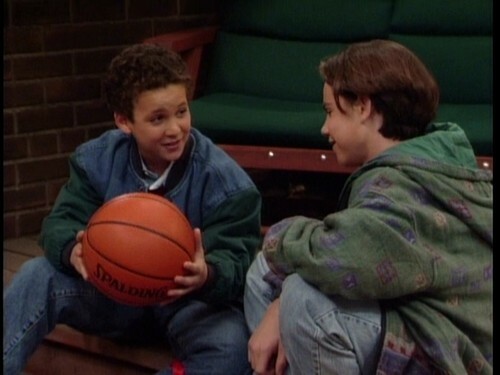 This Boy Meets World photo contains basketball and dribbler. There might also be basketball player, basketeer, and cager.